Another crowdsourced transcription project is one started by the Abraham Lincoln Presidential Library and Museum. 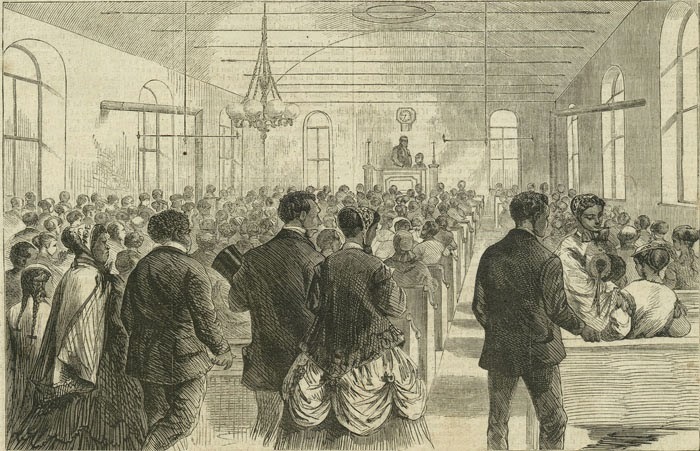 The papers of Richard Yates, Sr., an ally of Lincoln and governor of Illinois during the Civil War, have been digitized with money from a grant. The library has set up a Web site for volunteers to transcribe the pages (currently almost 13,000 pages are available to work on). The intention is to create a searchable database of the transcribed text. Apparently some researchers estimate that up to a third of the current Scottish population may have Flemish ancestry (as in the surname Fleming). The Flemish immigrants came between the 11th and 17th centuries. Some Scottish surnames that may have Flemish origins are Armstrong (I have Armstrong ancestors! ), Baird, Balliol, Beaton, Brodie, Bruce, Cameron, Campbell, Comyn, Crawford, Douglas, Dowie, Erskine, Graham, Hamilton, Hay, Innes, Lindsay, Murray, Oliphant, Seton, and Sutherland. Professor Roger Mason, of the Institute of Scottish Historical Research at the University of St. Andrews, is leading the Scotland and the Flemish People project to assess the impact of the Flemish on Scotland. The project includes a DNA component. John Irvine (a genealogist and local historian) and Dr. Alex Fleming (a retired economist) of the Abertay Historical Society are part of the project team. Plans are to have a conference for Easter 2016, and one or possibly more publications. The project is looking for people to share local historical and genealogical resources with information about Flemish settlements, lives, and work in Scotland. If you can contribute or are interested in learning more, you can read about the project here and here, or contact members of the project team: Dr. Alex Fleming, John Irvine, or Prof. Roger Mason. 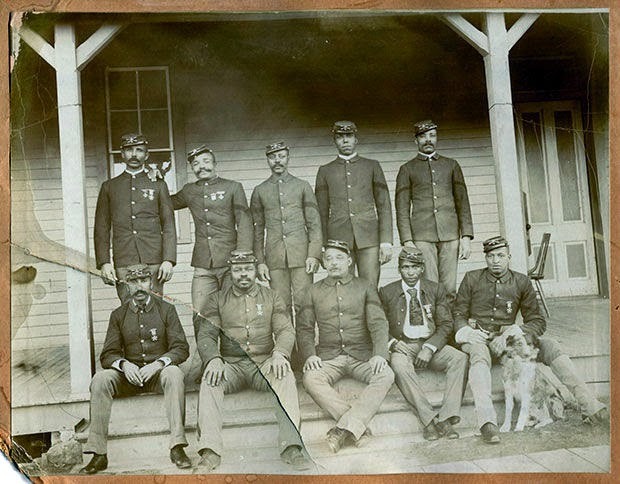 Several members of the genealogical community have already been working on the identification of a photograph apparently of ten Buffalo soldiers, but since the mystery has not yet been resolved, I figure more publicity might be a good thing. The photograph was discovered some 40 years ago, hidden behind an illustration in an inexpensive photograph frame. The men in the photo were identified by an appraiser in 1994 as being in the U.S. Cavalry, 9th Regiment, Company G. The owner of the photograph was interviewed recently by a local newspaper, and some input on the photograph is on the Where Honor Is Due blog. A post on the Roads to the Great War blog is publicizing a family's search for the location of a World War I portrait. The portrait of Corporal Jack Marqusee was apparently painted by an "artist of international fame" for the British government. The family has a photograph of the portrait but is trying to determine the location of the portrait itself. The historic Apollo Theater in Harlem has created an archive and is trying to recover documents, memorabilia, and other artifacts that have been lost, discarded, or forgotten over the years. Some items sought are marketing materials, costumes, band stands, microphones, and original photographs. Antiques Roadshow featured the Apollo's search on a "Roadshow's Most Wanted" segment. If your family had any connection to the Apollo, maybe you can help. The Jewish community in the town of Dunayevtsy, Ukraine, known by its Jewish residents as Dinovitz, has been allowed to reclaim a building in town that was once known to be a synagogue. To accomplish this the community needs to provide documentation to the local authorities about the town's former synagogues. This could be printed materials, photographs, or stories from family members. Oral and written materials will both be considered. There is little actual documentation on synagogues in the shtetl. The community in Dunayevtsy has not been able to find much information in the local Russian archives and libraries. YIVO has been contacted and also has little information of use. If you had family that lived in Dinovitz, please look through any papers, photographs, or memorabilia that you may have and send a message to Carol Rombro Rider. 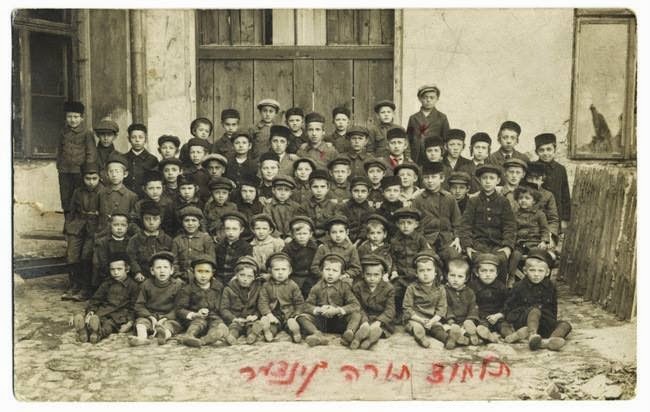 If you have family from the town of Biecz in Poland and have collected vital records or have testimonies of family members from the 1920's–1930's, the Foundation for the Preservation of Jewish Heritage in Poland (FODŻ) would like to hear from you in connection with a project involving the Biecz Talmud Torah building, built about 1924. 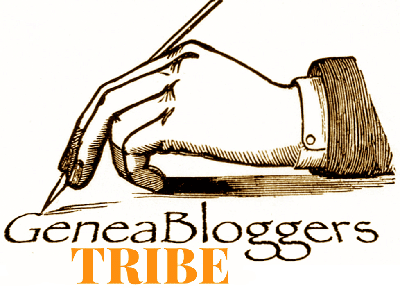 Please write to Marla Raucher Osborn.